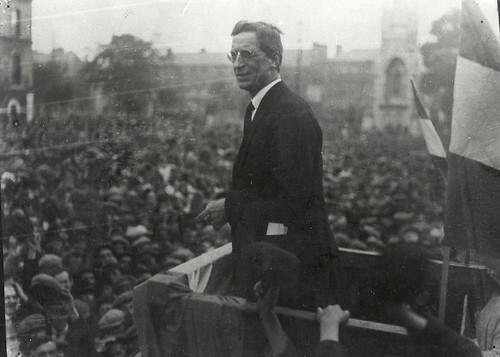 Éamon de Valera was one of the major political figures in Ireland during the 20th century. 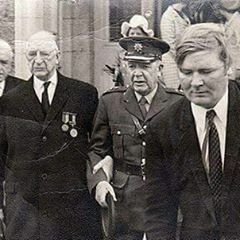 He was involved in Irish political affairs from 1917 to 1973. de Valera served several terms as head of government and in his later years he served as President of Ireland. Éamon de Valera was born in New York City on October 14th 1882. He moved to Ireland at the age of two and grew up in Bruree, Co Limerick. He qualified as a teacher and joined the Irish Volunteers in 1913. He was involved in the Easter Rising of 1916 and was court-martialled and sentenced to death. The sentence was later commuted to penal servitude for life. The Irish War of Independence ended with signing of a truce between the British and Irish on July 11th 1921. The Anglo-Irish Treaty was negotiated in 1921 between the British Government and representatives of the Irish Republic. The Treaty led to the establishment of the Irish Free State. The Treaty established Ireland as a self-governing Free State and was ratified by Dáil Eireann 64 votes to 57 by in January 1922. When those opposed to the Treaty lost the vote, they walked out of parliament led by Éamon de Valera. They began a campaign of violent opposition to the Treaty and Civil War ensued. The Irish Free State came into being on December 6th 1922. The civil war ended in victory for the supporters of the Treaty on May 24th 1923. Éamon de Valera, one of the major political figures in Ireland during the 20th century, died aged 92 in the year 1975 On This Day.